Wonderful, witchy and wise, Stevie Nicks’ music has dominated American airwaves for decades. Her work with Fleetwood Mac and as a solo artist has garnered over 40 top 50 hits! 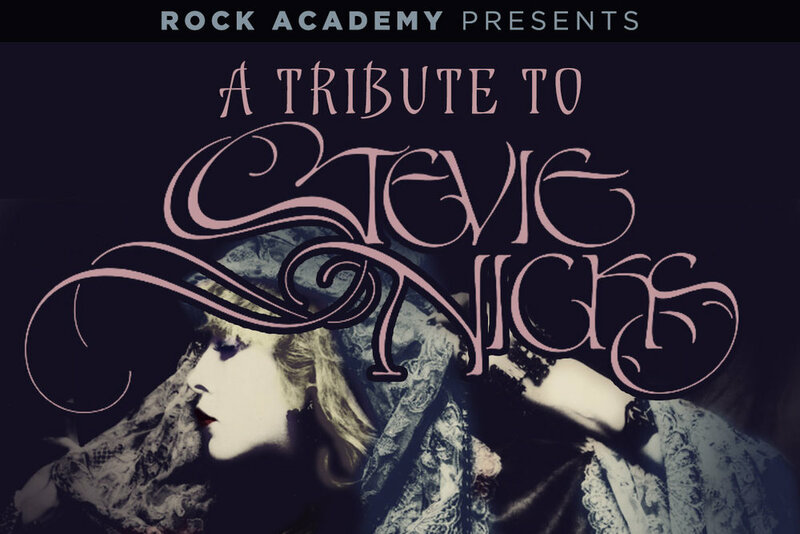 This show will take a cross-section of those hits as well as some of her lesser known work, including some songs she wrote pre-Fleetwood Mac. Learn how Stevie became the living legend she is. The Rock Academy is a performance based, interactive music school, based on a method honed over the past 17 years. We believe that the best way to teach most anything, and especially music, is with a hands on approach. Therefore, our entire school is dedicated to getting kids playing music in an as authentic way as possible. The Rock Academy is a year round tuition based program. Students take a weekly 45 minute lesson in their primary instrument and attend weekly rehearsals when in season (roughly 30 weeks per year) in preparation for our seasonal shows. Shows are chosen for their artistic and pedagogical merit and a variety is always offered to best serve the various skill levels and educational needs of our student body. At capacity, we stage 5 productions in the Spring, Fall and Summer semesters, with rehearsals for these shows occurring on both week days and weekends to accommodate the schedules of our students.